Urodynamic studies of functional disorders of the lower urinary tract (LUT) were initiated in Spain in the 70s. Azagra Cortado (Seville), Resel Estévez (Madrid) and Solé Balcells (Barcelona) wrote the first publication in the XXXIX NATIONAL CONGRESS OF UROLOGY. Las Palmas, 10-13 June 1974 on “Urodinámica Metodología general” -Urodynamics General Methodology-, “Urodinámica ureteral y piélica” -Urethral and pyelic Urodynamics-and “Urodinámica del tracto urinario inferior” -Urodynamics of the Lower Urinary Tract-. In Spain, the first book on neurogenic bladder was published during the same time. (Solé Balcells, Conejero Sugrañes and Rovira Rosell: “Vejiga Neurógena. Manual práctico” -Neurogenic bladder. Practical Manual-. 1974). At that time, the departments of urology of large hospitals began to establish teams responsible for the evaluation and knowledge of urinary dysfunction, where the pioneering Urologists learned the diagnosis and treatment of this disorder. Distinguished names included J. Conejero and J. Rovira-Rosell (Hospital Vall d’Hebrón, Barcelona), A. Leal and J.M. Pena (Hospital Virgen del Rocío, Seville), E. Martínez- Agulló, J. Gallego and J.M. Cisnal (Hospital La Fe, Valencia), M. Tallada, J. Romero and L. Perales (Hospital Ramón y Cajal, Madrid). In 1973, the Spanish Association of Urology (AEU) approved the creation of a Working Group of Urodynamics, proposed by the Professor I. Ponce de León. The main objective of the Group was research and it greatly influenced the management of LUT dysfunction. This Working Group of Urodynamics was consolidated thanks to an advanced technology and new knowledge in neurophysiology and physiopathology of LUT. An annual meeting was established, independent of the AEU congress. The coordinator of this Group was elected every four years by its members and until now they have been: I. Ponce de León (1979), J. Conejero (1986), E. Martínez-Agulló (1990), D. Castro (1994), J. Salinas (1998), P. Arañó (2001), L. Prieto (2006), M. Esteban (2010) and J.M. Adot Urbano (2014). The “Ponce de León” scholarship is still awarded today for the best doctoral thesis related to the urinary tract dysfunction. In 1983, E. Martínez Agulló published “Vejiga Neurógena: Neurourología y Urodinámica” -Neurogenic bladder: Neurology and Urodynamics-, a treatise in which neurogenic vesicourethral dysfunction is explained in an understandable way and Urodynamics techniques in detail. The monograph “Información, soluciones y consejos ante la incontinencia urinaria”-Information, solutions and advice on urinary incontinence- was published by E. Martinez Agulló and J. Conejero Sugrañes. In 1987, J. Conejero funded the “Sociedad Iberoamericana de Neuro-Urología y Uroginecología (SINUG)” during the joint meeting of “First Latin American Meeting of Neurological Alterations and Urinary Incontinence” and the “Spanish Group of Urodynamics”. The objectives of this new society were and continue to be to improve the different medical, psychological and social aspects of patients suffering from functional disorders of the urinary tract and, as an immediate objective, to agree on the terminology and concepts in order to improve the exchange of information, experiences and the search and maintenance of an optimal level of Neurology and Urodynamics. The field of action of the SINUG not only covers the medical aspects, but also addresses the real environment of the affected person; therefore, it contributes with an innovative approach in the assessment of the impact on the human, psychosocial, labour and educational aspects that these disorders might have. The SINUG is a multidisciplinary society that integrates not only all the professionals involved in managing the alteration itself but also the patients as individuals. Thus, doctors, psychologists, social workers, nurses, and the patient associations themselves are grouped within the SINUG. Some of the main commitments are the standardization of terminology and concepts; the creation and updating of multicentre clinical practice protocols and guidelines; the establishment, evaluation and continuous improvement of treatment indications; the evaluation of results and new methods and technological advances; but always with the focus of seeking an improvement in the quality of life of the patient. SINUG does not wish in any way to compete with the ICS or similar societies, but to facilitate the agile intercommunication of professionals of Latin America and Portugal and to cooperate with similar societies that exist or may arise. The Journal “APPLIED URODYNAMICS” was founded in 1987 as the official Journal of the Society. D. Castro, J. Conejero, E. Martínez-Agulló, R. Martínez-García reached consensus on terminology and concepts through seminars and working groups open to the opinions of SINUG members. From the beginning, SINUG integrated relevant gynaecologists in the field of urodynamic studies and the diagnosis and treatment of urinary incontinence. In 1975 at the Lusitanian-Hispanic Congress of Gynaecology that took place in Porto, J.L. Grangel with M. Galbis made a presentation on urinary incontinence. M. Fillol and MA. Pascual followed in the footsteps of JL Grangel and shortly after M. Espuña emerged in Spain as a national reference authority in Female Urinary Incontinence. In America, SINUG was warmly received by renowned Urologists and gynaecologists who contributed to its development from the beginning. A special mention to J.M. Guzmán, W. Fernández, J. Martínez-Torena, V. Romano, R. González, S. Raz, J. Lockart, C. Ercole, A. Torres and O. Jara among many others. The SINUG celebrates biannual Congresses, alternating its headquarters between Spain, Portugal and America: Barcelona (1987), Punta del Este (1989), Mallorca (1991), Cancún (1994), Valencia (1996), Buenos Aires (1998), Tenerife (2000), Sao Paulo (2002), Pontevedra (2004), Lima (2006), Faro (2008), Cádiz (2012) and San Sebastián (2014). 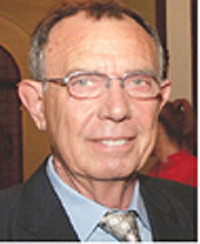 SINUG has been chaired by its founder until 1996, followed by P. Arañó, A. Marqués, and currently David Castro holds this position. The Spanish Group of Urodynamics changed its name in 2003 to “Group of Urodynamics, Functional Female Urology” (GUFFU) in an effort to adapt to new philosophies. Very active from the beginning, numerous scientific meetings were organized in which outstanding foreign professors participated, including P. Abrams, R. González, Lockhart, Buzzelin, S. Raz, P. Van Kerrebroeck, H. Madersbacher, J. Blaivas and many others. GUFFU shares the same scientific objectives as SINUG and a large number of its members. We appreciate the great cordiality that has existed between both organizations that have alternated their meetings and have had joint working meetings. “Vejiga neurógena: Neurourología y Urodinámica” -Neurogenic bladder: Neurology and Urodynamics- (E. Martínez- Agulló 1983), “Urodinámica clínica” –Clinical Urodynamics- (J. Salinas 1991), “Incontinencia urinaria” –Urinary Incontinence- (L. Resel 1993), “Incontinencia urinaria” –Urinary Incontinence- (J. Conejero 2000), “Atlas de urodinámica” –Urodynamics Atlas- (P. Blasco 2005), “Enuresis Nocturna Primaria Monosintomática. Guía de práctica Clínica Basada en la Evidencia” – Mono-Symptomatic Primary Nocturnal Enuresis. Clinical Practical Guide Based on Evidence- (MI Úbeda & R. Martínez 2005), “Tratado de la incontinencia urinaria” –Urinary Incontinence Treatise- (D. Castro, M. Espuña 2006)”, “Atlas de Incontinencia Urinaria y Suelo Pélvico” -Urinary Incontinence and Pelvic Floor Atlas- (J. Moreno 2007). I would also like to mention the “Master’s Degree in Urodynamics and Urinary Incontinence” taught at the University of Valencia (M. Gil 1995) and the national presentations of urology congresses “Disfunciones vesicales neurógenas” –Neurogenic Bladder Dysfunctions- (L. Cifuentes 1966), “Incontinencia urinaria” –Urinary Incontinence- (M. Tallada 1982), “La disfunción vesicouretral neurógena” –Neurogenic Vesicoureteric Dysfunction- (M. Tallada 1995), “Cirugía Uroginecológica” -Urogynecological Surgery- (I. Galmés 1999) and “La neuromodulación sacra” –The Sacral Neuromodulation- (JL Ruiz- Cerdá 2000). We hope that SINUG will continue to encourage all professionals in Spain, Portugal and Latin America involved in the LUT dysfunction to look to the future with the same enthusiasm as when they began their first steps.